Four years after the first harvest, Sprankel – our very own Méthode Cap Classique. Sprankel is a proud blanc de blanc of selected Chardonnay grapes from various vineyards on the farm. Made in the traditional Champagne method over four long years, Sprankel eventually arrived in time for the festive season. 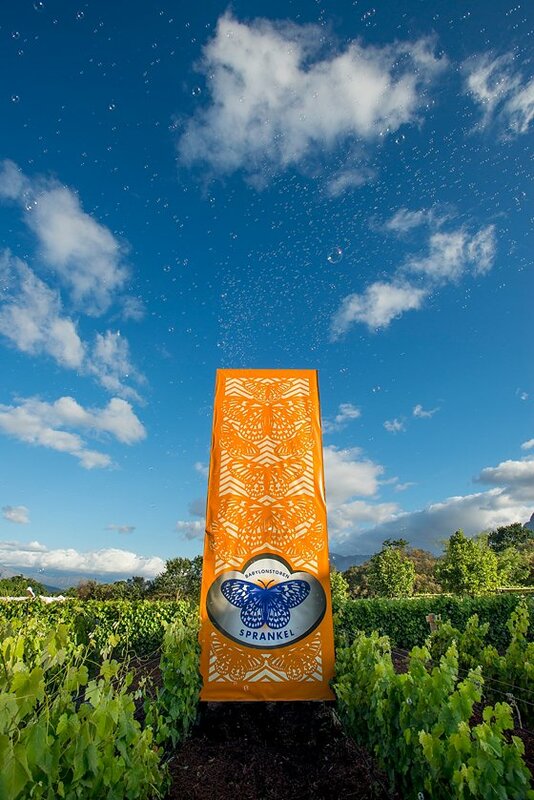 Its distinctive packaging by hot artist-designer Peet Pienaar uses a butterfly theme linking to the great garden and the farm’s rich heritage. 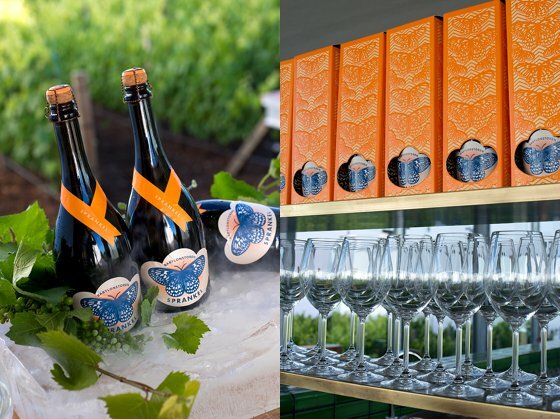 In Babylonstoren style the wine was made as simply and authentically as possible. Before bottling, yeast residue is removed through a process called dégorgement à la glace, by freezing the neck of the bottle. Once the bottle is turned upright again, internal pressure forces the frozen yeast out of the bottle. Often the lost liquid is replaced with sweet wine or even cognac, but our cellar master Charl Coetzee decided to add nothing at all! This Sprankel is pure. This pure quality, combined with a lengthy ageing process, produced rich creaminess and fruit accents. Sprankel combines well with cheese, fruit, salmon, shellfish and caviar. Its smooth character sits beautifully with poultry and seafood dishes. Only 5000 bottles were made. Now available in our online shop. Buy it HERE.